For the uninitiated, Ultimate Team – like NBA 2K’s MyTEAM – is a fantasy team mode that revolves around collecting virtual trading cards from virtual packs. Not unlike the real hobby, the better cards (in this case higher-rated players) have lower odds and are therefore more difficult to collect. Unlike real trading cards, Ultimate Team cards have a more tangible use in that the squad you assemble can be used to compete in various fantasy challenges. Packs are earned as challenge rewards, and can also be purchased with both real money and in-game currency. While you don’t have to spend real money, the concept does yield a lot of added revenue for EA and 2K. I remember thinking that it was a fun idea for a mode, but not one that I’d particularly enjoy myself. I’ve traditionally been far more interested in the franchise experiences, in which there are real rosters and more control over team building. However, much as I found myself enjoying the single player career experiences more than I had ever anticipated, I became a fan of Ultimate Team when I tried it out in NBA Live 14. My disappointment in the relaunched Dynasty mode played a role there, but there was an immediate appeal to the concept, especially for someone who had collected trading cards back in the 90s as I had so enthusiastically done. 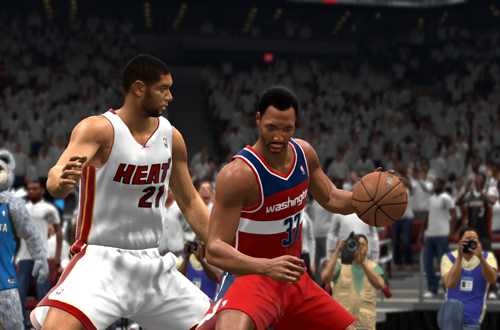 NBA Live 14’s Ultimate Team was unquestionably bare bones. As I noted, the mode still has a lot of potential to be deeper as of NBA Live 19, but in NBA Live 14, there wasn’t much to LUT at all. It was comprised of Fantasy Showdown challenges, single games against any NBA team, and online head-to-head. New challenges were added throughout the year, including challenges without any entry requirements, and others that required you to have certain cards in your lineup in order to play them. The pack options were also straightforward and limited compared to subsequent iterations of Ultimate Team, though they were also slightly cheaper. Still, the building blocks were there, and it was a good introduction to the concept. I spent a little bit of time in NBA Live 14’s Ultimate Team, and even purchased one of the loaded limited edition packs to beef up my squad. However, the shortcomings of NBA Live 14’s gameplay ultimately proved to be too much of a hurdle. The content of the Fantasy Showdown challenges was fine, the pack odds were acceptable, and it was clear that the concept could be a lot of fun. That was all rendered moot by the gameplay though, and while I did get some enjoyment out of running with the super squad I’d put together, the on-court experience made it difficult to remain hooked. 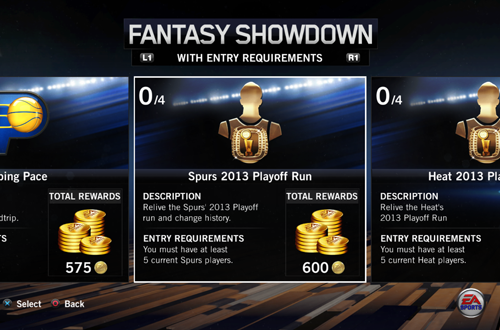 It didn’t help that a lot of the Fantasy Showdown content consisted of multi-game challenges. Although there were plenty of games to play, completing challenges felt repetitive with so many games following a similar theme. Building the lineup that you wanted was also a lot tougher without the presence of an Auction House. You might be able to put together a decent squad without too much trouble, but you still had to really grind for the team art that you wanted. There’s also a Trophy/Achievement for reconstructing any team’s full lineup, a task that is much harder to accomplish when you can’t pick up any of the missing players through an Auction House! Fortunately, the developers listened to gamer feedback, and expanded upon the mode in NBA Live 15. The addition of an Auction House made it a lot easier to assemble a squad with the players you wanted; for example, it allowed me to put together my original 90s All-Stars team. There was also a larger variety of pack options, though even the cheapest packs were slightly more expensive than they were in NBA Live 14. The revamped Fantasy Challenges were broken down into Veteran Challenges that were permanently available, and Weekly Challenges that were freshly made but were only available until the next week’s content came through. Unfortunately, Ultimate Team hasn’t progressed very far since then. While we’ve seen some expansions in the form of GM Lists, additional types of special cards, and a variety of challenges, there’s so much more that the mode could offer. NBA 2K’s MyTEAM offers several examples of what can be done with a team building mode, from the various types of submodes to collection indexes and additional Auction House tools. Looking back at NBA Live 14, LUT has definitely improved and expanded as a concept, but compared to MyTEAM and even the Ultimate Team modes in other EA Sports titles, there’s still a lot of room for further improvement. 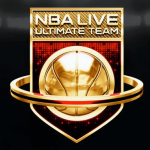 Despite these shortcomings, Live Ultimate Team’s approach in certain areas has been preferable to MyTEAM, as well as the other EA Sports games. Pack odds still tend to be rather good, and there are multiple players per pack, compared to just one in most standard MyTEAM packs; a precedent set in NBA Live 14. Although the prices of packs have increased over the years and LUT supports microtransactions, their price and overall value still tends to be better than in 2K. LUT has also retained a simplified approach by avoiding consumables and variables such as shoe cards. It’s even done away with player contracts, allowing for unlimited play with your favourite lineup. Ultimate Team has been my mode of choice in NBA Live during this generation, and I had a fun time building an even better 90s All-Stars squad in NBA Live 18. Despite the limitations, there is a definite appeal to the concept that makes it worth investing time and resources in developing it further. That appeal was there from the start, even though LUT in NBA Live 14 was lacking in many aspects. Like BIG Moments and other elements of NBA Live on the current generation, the depth and execution may leave something to be desired, but the idea itself is great, laying the foundation for what will hopefully become a deeper and more enjoyable experience in the future. Thank you, Andrew, for getting us covered! The auction houses in Live 15, 16 are wolds nowadays, so lack of that one in Live 14 is not critical compared to its successors now. Certainly at this point the Auction House isn’t as useful in those old games, since fewer people are playing the games and making use of them. When the games were current, it was very useful. I’m surprised those servers are still up; that’s something I forgot to mention in the retrospective.